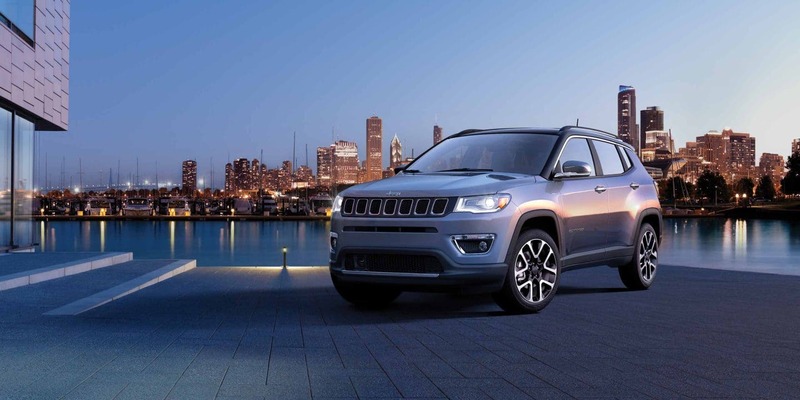 There's nothing more exciting than the arrival of a brand new vehicle, especially when it's a Jeep creation. 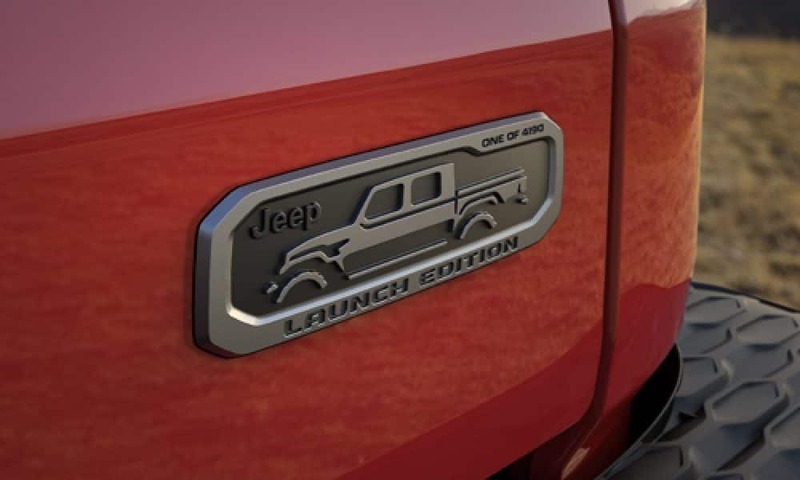 That's why we are happy to show off the 2020 Jeep Gladiator! 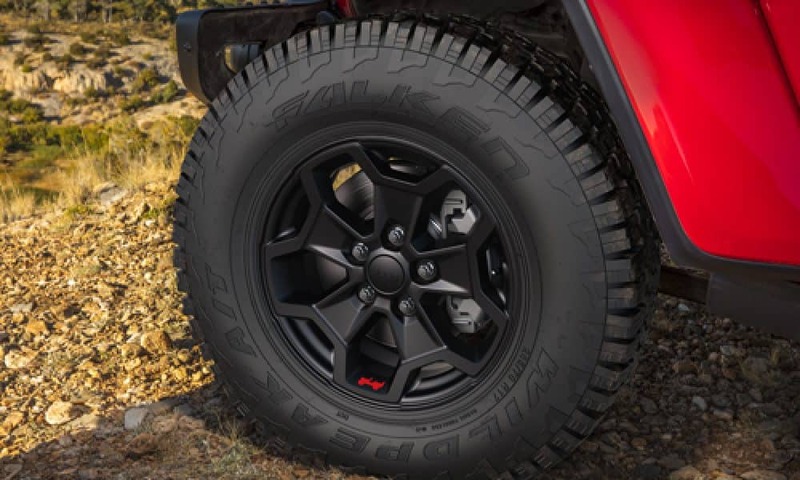 This beast of a midsize truck is able to effortlessly blend truck and Jeep sensibilities together, and form the ultimate vehicle for any off-roader. You'll love the standard powertrain, the impressive best-in-class towing, and the versatility that simply can't be matched by the competition. 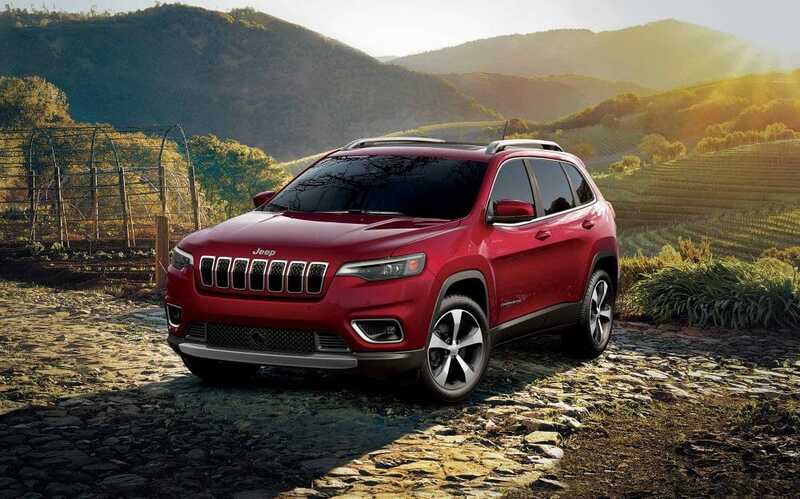 Jeep knows how to make vehicles that turn heads, and create adventures. The 2020 Gladiator has been long awaited, and we can easily say that the wait has been worth it. To learn more about the features found with this segment changing truck, keep reading down below! What engine powers the Gladiator? Power is at the very heart of what makes people keep coming back to Jeep vehicles. 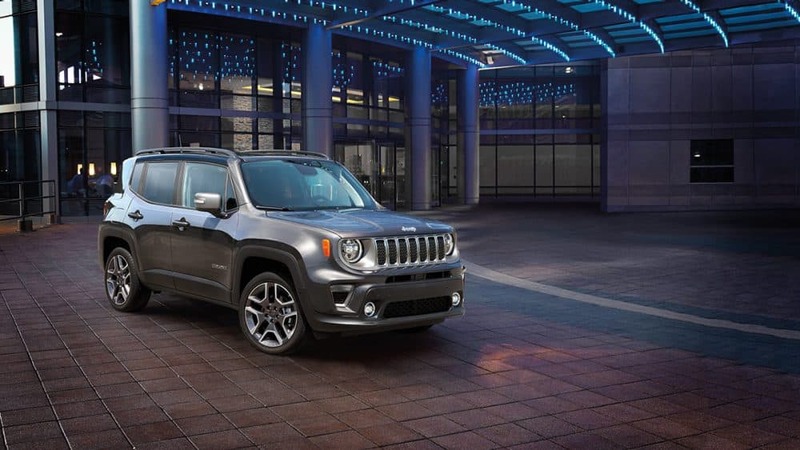 The Gladiator won't let you down, especially with the standard 3.6-liter Pentastar V6 engine. This engine has the capability to produce up to 285 horsepower and 260 pound-feet of torque. In order to gain more efficiency and control, this engine works with a six-speed manual transmission. For anyone looking for an automatic transmission, you can opt for an 8-speed automatic transmission. But the Pentastar isn't the only engine offered! In 2020 you can expect to find a 3.0-liter EcoDiesel V6. This diesel engine will be pumping out 260 horsepower and 442 pound-feet of torque while attached to an 8-speed automatic transmission. Power is no problem for this mid-size pickup. What are some of the design features? The Gladiator doesn't skimp on anything, including trim levels and features. 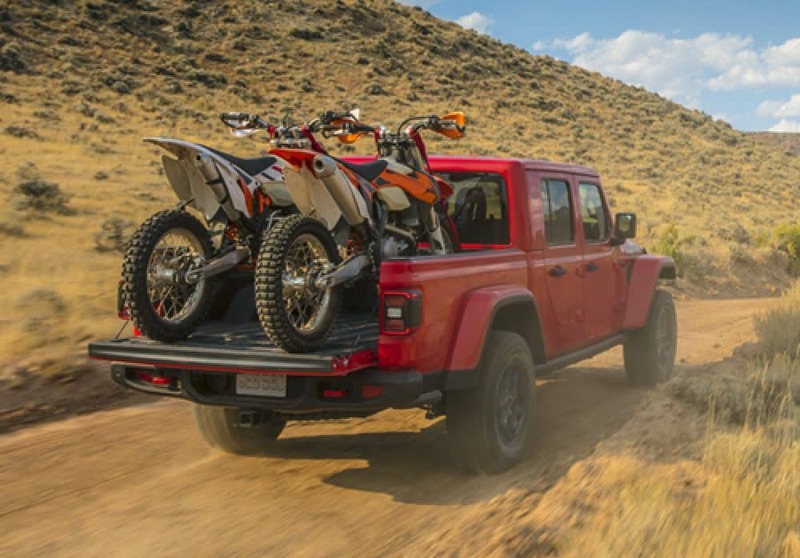 That's why this pickup truck comes with four trim level options, including Sport, Sport S, Overland, and Rubicon. Inside, the Gladiator has an available 8.4-inch touchscreen, which is the largest of its kind in the entire class. This touchscreen matches with Uconnect 4V NAV, which supports both Apple CarPlay and integrates Android Auto. You'll also be able to add removable Bluetooth wireless speakers, along with leather-trimmed seats. This is just the surface of the kind of design that can be expected in the Gladiator. Other benefits of the design include a modern look, especially thanks to LED daytime running lights, and trapezoidal wheel flares. Even the rear of the Gladiator is turning heads with a wide tailgate opening, which is perfect for loading in cargo. This tailgate has been damped, and can stop in three different positions. As for flexibility, a Trail Rail Cargo Management system is available, which adds additional storage options. There is an endless amount of configurations for the Gladiator, and you're in control! If you're wondering how safety fits into the Gladiator, it's an integral part of the design that Jeep has produced. In fact, there are eighty different available active and passive safety features that you can find throughout. One of the biggest standard features is a ParkView rear backup camera that includes dynamic grid lines. This is especially helpful in busy parking lots. A few other features that are available include blind-spot monitoring, a forward-facing off-road camera, electronic stability control, rear cross path detection, adaptive cruise control, and electronic roll mitigation. 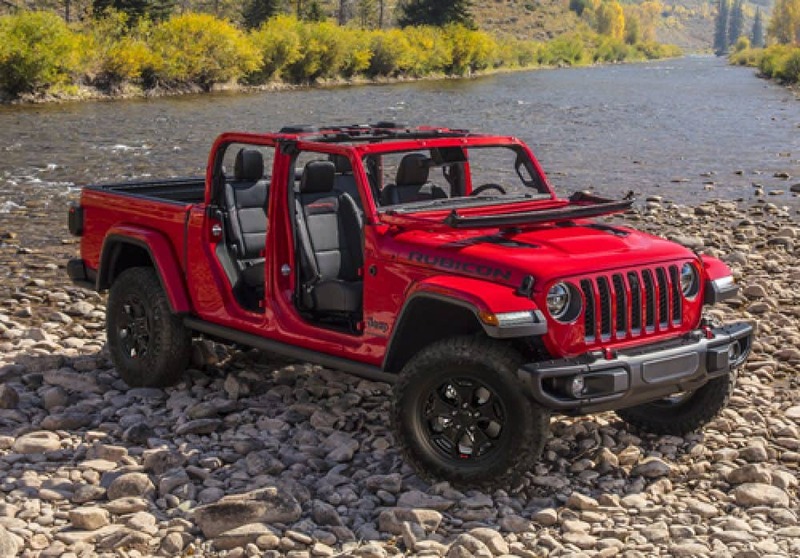 If you've been looking for a pickup truck that absolutely can conquer the trails, there's no better option out there today than the 2020 Jeep Gladiator. Stop by our dealership and find the Gladiator that best suits your needs and future adventures!